Oh, yes, it’s that time of year… I have started my Christmas shopping and keep seeing super-cute (and tempting) items for myself. So I thought I would share them in case you have a writer in your life and are looking for gift ideas. 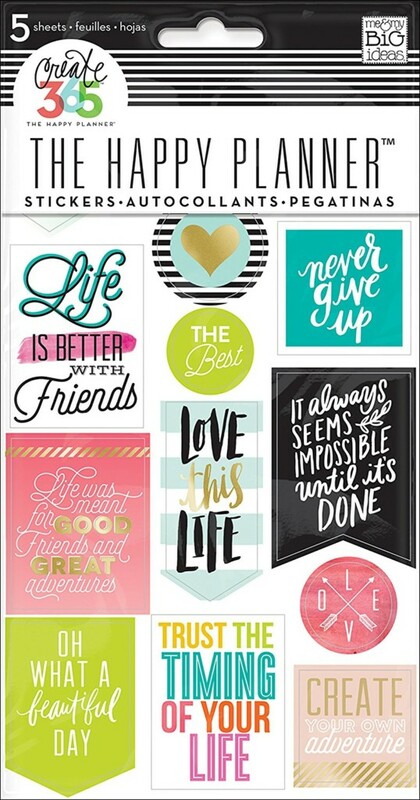 Or want inspiration for things to put on your own ‘wish list’ this year! 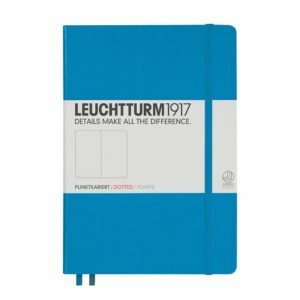 I have been loving using my bullet journal this year, and I adore the turquoise Leuchtturm 1917 (dotted) I recommended last year. It has two ribbon markers, lovely paper and an elastic closure (plus loads of colour options!). However, my daughter went with this Lemome notebook for her writing journal, and I was very impressed when it arrived… The paper is excellent quality, and I like the handy pen loop. Also, pens and pencils are very important… I love a fine nib (and still swear by Stabilo fineliners for journalling and doodling) and my go-to black pen for everyday use are Uni-Ball Pins in 0.1. £4.49 for a pack of three. I also love a sharp pencil and mechanical ones are perfect for maintaining a good point. The Zebra M-301 fits my criteria of quality (at a very reasonable price so I don’t cry if I lose one!) and comfortable to hold. £2.58 each. If you love fountain pens you probably already have a favourite brand. However, if you are keen to try one (or give one as a gift) and don’t want to break the bank, Pilot MR Retro Pops are a good choice… They write very nicely, with good ink flow and a decent nib, and come in four colours: light blue, orange, purple or green. Another nice stationery item is Washi tape. Even if you don’t bullet journal or scrapbook, this pretty tape is great for adding interest and colour to any diary or calendar, for marking pages in a book, and adding ‘literary love’ to wrapping paper. It’s also cheap enough to make a handy stocking filler. I love my mechanical keyboard. Plus, alternating between different keyboard types (I use my laptop and iMac keyboards, too) seems to stop my wrist/finger pain from getting too bad. Lots of writers also love craft and other art forms. There is something deeply therapeutic about knitting or colouring/doodling and it’s a really good way to occupy part of your brain while your subconscious works out tricky plot points. This year, I’ve discovered cross stitch as brilliant way to relax. 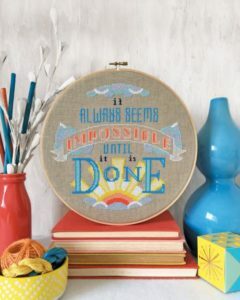 It’s like doing a colouring book but with pretty thread – perfect! And this design (which I’m currently in the middle of stitching myself!) also happens to be one of my favourite quotes. It’s something I repeat often when I’m stuck in a draft (or in edits). (This link is for the printed chart on a handy website which also sells the necessary threads etc, but you can also go to Satsuma Street on Etsy for the digital download). And for book-lovers in the US, I found this Hogwarts Crest cross stitch kit! If you know a writer who could benefit from some distraction/relaxation but they would recoil at the suggestion of craft, how about a jigsaw? No, come back… Honestly, it’s a good idea! Personally, I love a good jigsaw puzzle, especially during the Christmas holiday, and this one combines two of my favourite things: fantasy and bookshops… In fact, I might have to send this blog post to my nearest and dearest as a subtle hint! 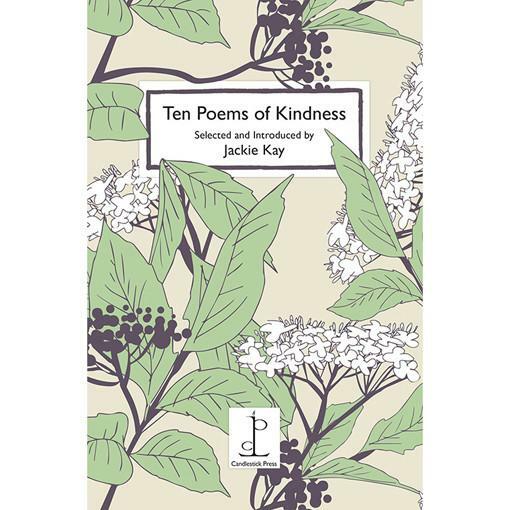 This would also be a great gift for a book-loving (older) child or family. 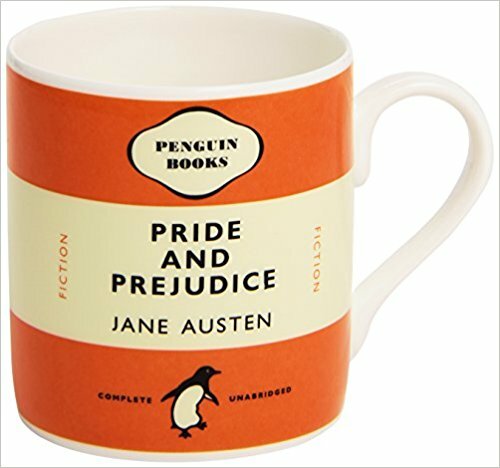 As always, The Literary Gift Company is a treasure trove of book-related jewellery, apparel and homeware. This year, I’ve picked out this lovely retro-style bookshop bookend. Gorgeous, and a very reasonable £9.95. Writers are readers, too, and what could be nicer than a book sleeve to keep their favourite novel well-protected when out and about? There are loads of different patterns available, so you could match a themed fabric to a particular book for a truly thoughtful gift. 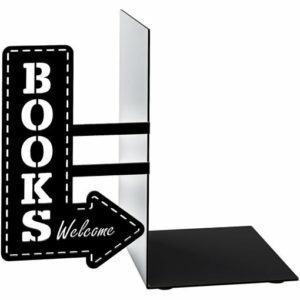 I have put a resources page HERE which lists my recommended writing books (craft of writing, business and mindset). 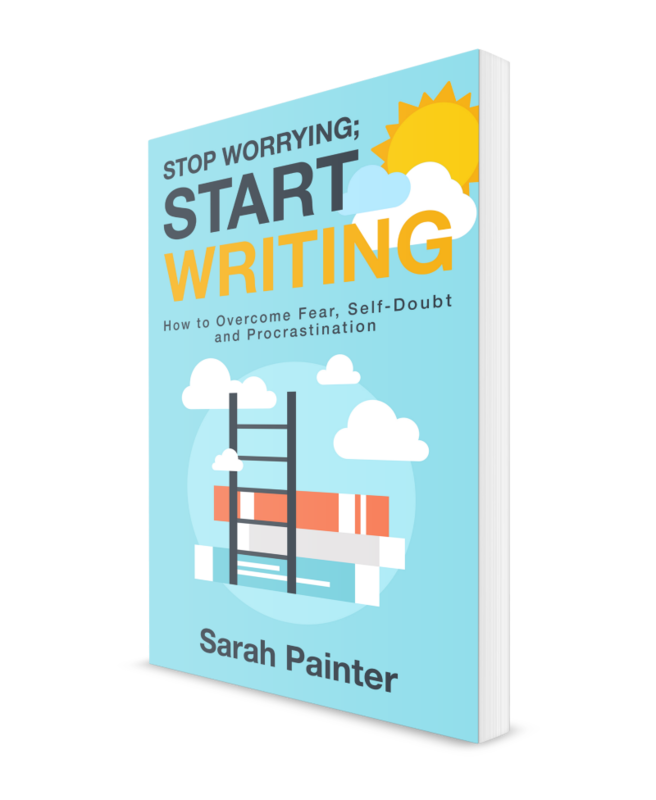 Of course, if you know a beginning (or professional) writer who suffers with fear, self-doubt or procrastination, I would recommend my own book on the subject(naturally enough!). Stop Worrying; Start Writing is available in ebook, paperback or audio book (read by me). And if you know an urban fantasy/paranormal mystery fan, may I suggest The Night Raven? For memoir, I recommend I am, I am, I am by Maggie O’Farrell. The Seven Deaths of Evelyn Hardcastle by Stuart Turton – a brain-bending, high-concept and original murder mystery. The Invitation by Keris Stainton – perfect for fans of romantic comedy, sparkling dialogue, lovely characters, and joyful reading! The Hunting Party by Lucy Foley – a claustrophobic, twisty, gripping crime thriller set in the Scottish Highlands. Out 3rd December 2018. Belleweather by Susanna Kearsley – I am a huge fan and this well-researched ghostly tale was every bit as enjoyable as I expected. I hope that list helps a little – or sparks some ideas! If you’ve found the perfect writerly gift, do let me know in the comments below… And good luck with your Christmas/holiday shopping! 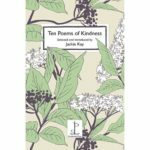 Yes, it’s that time of year again when we all need to find thoughtful gifts to express our love to our nearest and dearest which, let’s face it, isn’t always easy! 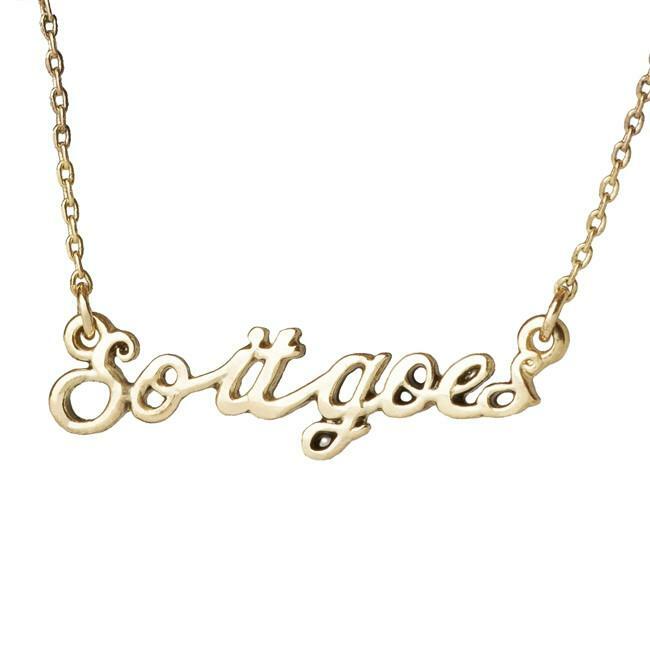 If you have a writer in your life, these gift ideas might help. Alternatively, if you are a writer, you could always forward this post to your family as a helpful hint… Or just treat yourself! I have yet to meet a writer who wasn’t at least a little bit in love with stationery. 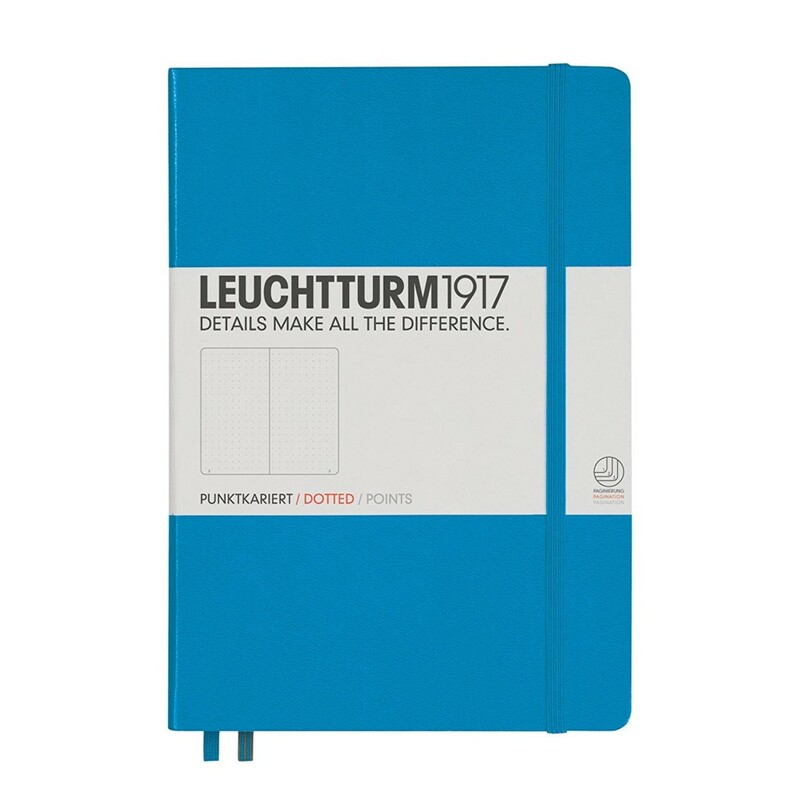 This Leuchtturm 1917 dotted journal is perfect for keeping a bullet journal (planning heaven! ), writing, brain-storming or doodling. I have been using the A5 size (in Emerald) for my bullet journal this year and I am utterly in love. 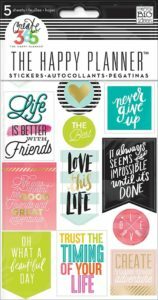 Why not create a bullet journal starter-kit by adding a fine-point black pen and some pretty washi tape and stickers? 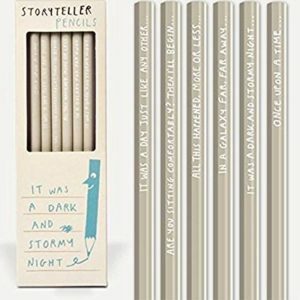 Or, just for fun, how about this Storyteller pencil set from Sharp and Blunt? Nothing is more important to me when writing than a cup of tea. * Okay, nothing except a computer or notebook! 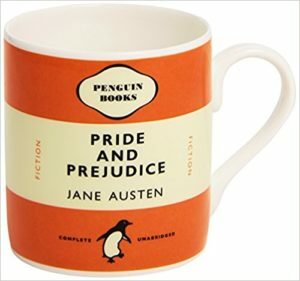 Classic Penguin Books mugs come in a range of titles, including Pride And Prejudice. I don’t hold with the ‘tortured artist’ stereotype but if you know a whiskey-loving writer, this bottle might just be the key to a happy festive season. 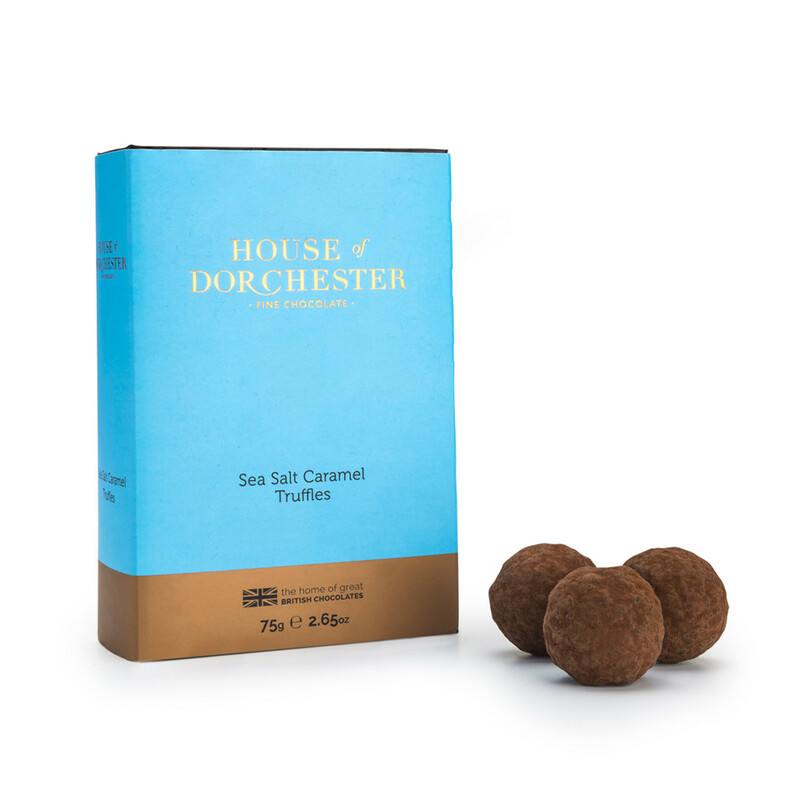 This book-shaped packaging is lovely (and the caramel truffles sound pretty good, too). 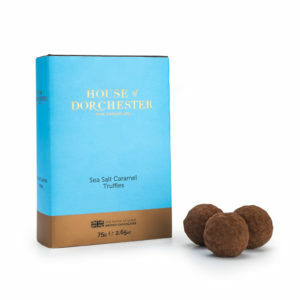 House of Dorchester SeaSalt Caramel Truffles Book Box (pack of 2). 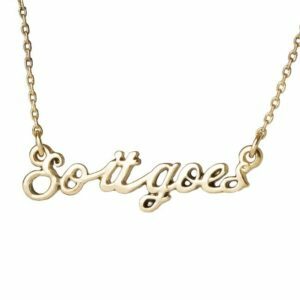 The Literary Gift Company has lots of book-themed loveliness, but I particularly like this ‘So It Goes’ necklace (quote is from Slaughterhouse Five) and their range of ‘poems instead of a card’ pamphlets. Writers are learning all the time, so a book on the craft or business of writing is sure to be welcome. Stephen King’s On Writing is the most-recommended book on the podcast so it’s a good place to start. Alternatively, if you know a worried writer, then there is always my book on the subject!